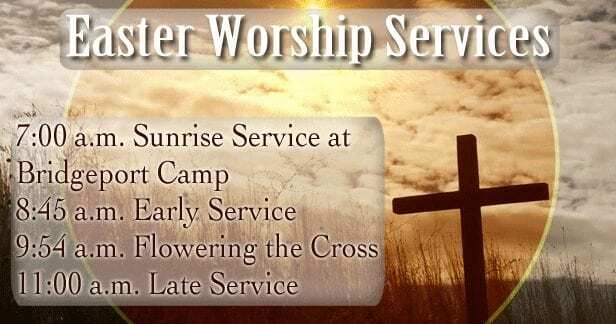 Flowering the Cross Easter Sunday at 9:45 a.m. 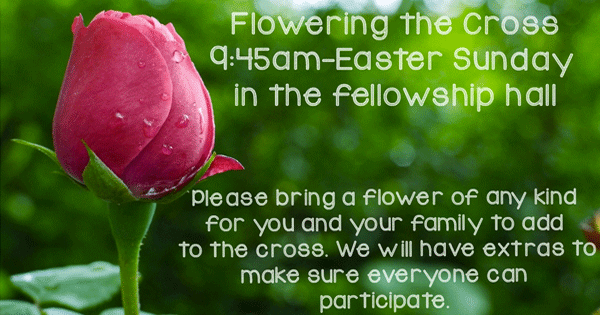 Please bring a flower of any kind for you and your family to add to the cross on Easter Sunday, April 21, 2019. 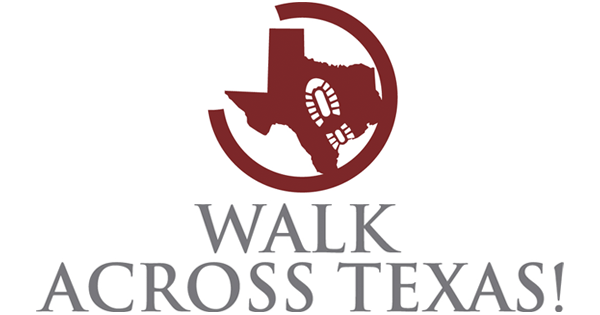 We will have extras to make sure everyone can participate. 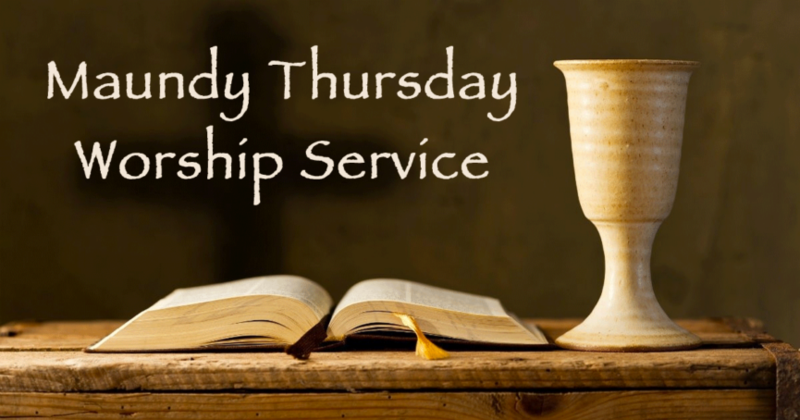 Maundy Thursday Worship Join us at 6:00 p.m. on Thursday, April 18, 2019, for our Maundy Thursday worship service. 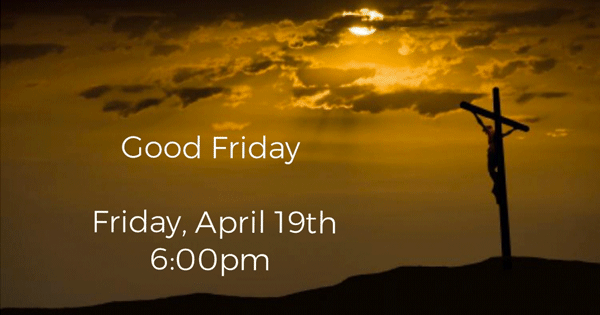 Good Friday Worship Join us at 6:00 p.m. on Friday, April 19, 2019, for our Good Friday worship service. 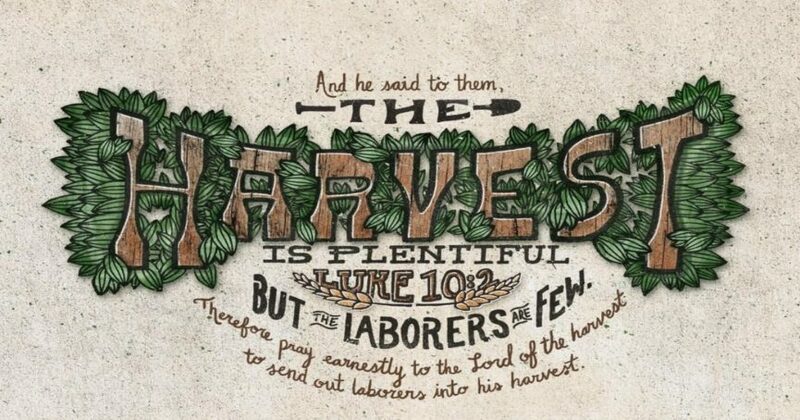 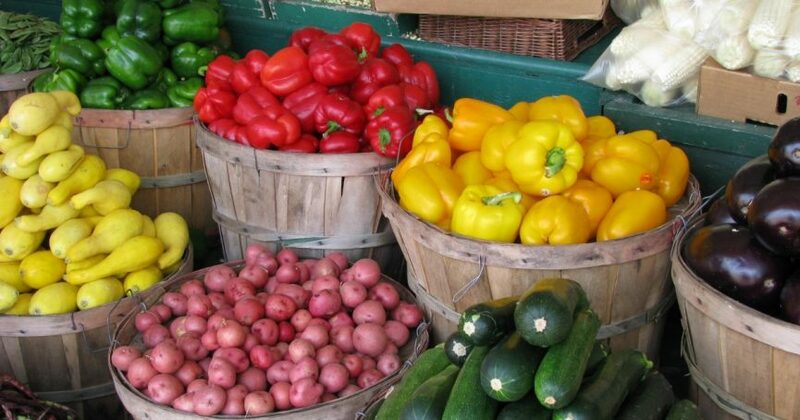 UMCOR Sunday March 31, 2019 UMCOR responds when war, conflict, or natural disaster disrupts life. 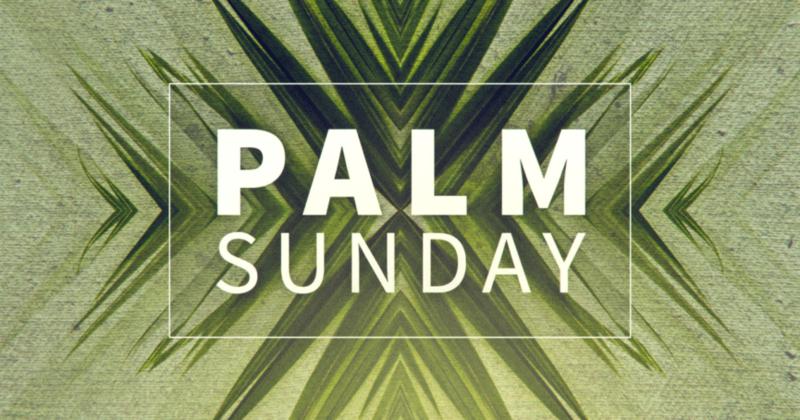 Join us for UMCOR Sunday on March 31, 2019.